If you create a new language file, or have updates for already existing language file, and you want others to enjoy it, send it to info@texteditor.pro. If you find translation errors, let me know. 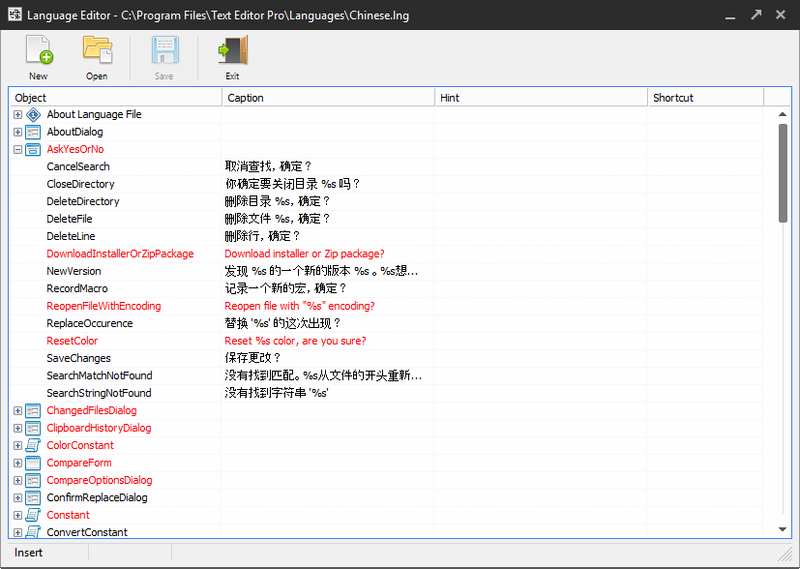 You can find the language editor from Tools > Language editor. The editor shows caption in red when it is waiting for translation.